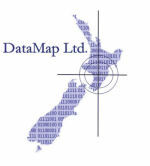 Community data | DataMap Ltd.
DataMap Ltd has provided the mapping and analysis tools for the Project Hotspot, a Curious Minds Project, supported by MBIE. As a science project it brings together the scientists, schools and all interested people in the community who would like to know more about 4 New Zealand species - Orca, Reef Herons, Little Blue Penguins and Seals. Penguins in New Zealand. This is an interactive map, so use your mouse to control it and zoom in or out, see the legend, or open the different layers showing the number of sightings, the behaviour of the penguins, or frequency. Click here for help with using the map tools and layers.